Check out this yummy green recipe for St. Patrick’s Day! Chef Ayinde Howell, creator of IEatGrass.com, shared this super yummy twist on an old Italian favorite from his eCookbook. The bruschetta topping is gluten-free. Serve the topping on gluten-free bread to make a completely gluten-free bruschetta recipe! 1. In a medium skillet over medium high heat, heat oil until hot and shimmering. Add sage, onion and garlic. Sauté until onions become translucent. Remove from heat. 2. Halve the avocado, remove seed. 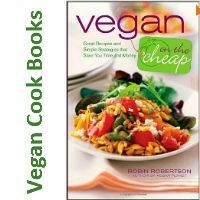 With a paring knife, crisscross through the flesh; using a teaspoon, scoop out the diced flesh into a medium-sized bowl. 3. Using a fork or pastry blender, mash the avocado, leaving some texture. Add the onion, garlic, and a pinch of salt and pepper (to taste). Mix well. Tip: Use flax seed oil to garnish for more omega 3 & 6. 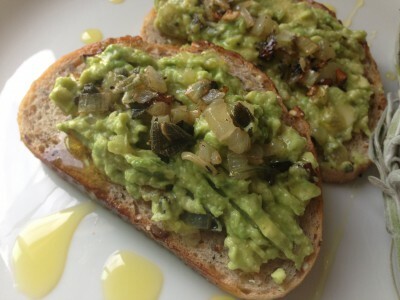 Let us know what you think of this easy vegan recipe: Avocado Bruschetta!